Thin eyelashes got you down? Tired of the daily, messy, time consuming routine of using outdated false lashes and mascara? 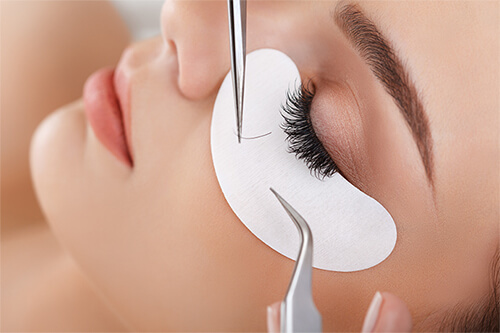 Ziba Medical Spa in Saginaw offers the most advanced way to add beautiful fullness and length to your natural lashes. You’re going to really (we mean really) love Ziba’s Eyelash Extensions! They are truly a work of art applied by our Certified Specialists. Each tapered eyelash is bonded to your own – lash by lash – for a gorgeous look and feather light feel. Ziba uses long-lasting, pharmaceutical grade NovaLash® adhesives. NovaLash® has earned the reputation as “the healthiest” professional eyelash extension system available and are shown to last 2x longer than competitive brands. They can be worn throughout the year with recommended minimal touch-up appointments. You can sleep, swim, and sweat with them on without worry. Best of all, no one will detect you’re wearing extensions – even close up. Add impact to the way you look and feel with Ziba Eyelash Extensions. Then, prepare for all of the compliments you’re sure to get.